ISTANBUL, Turkey, Sporting Alert – Manchester United poor run of form continued after the Premier League side suffered a 2-1 defeat at Fenerbahce in a Europa League Group A clash on Thursday. Goals from Moussa Sow and Jeremain Lens sealed the win for the Turks, with Wayne Rooney netting for Jose Mourinho’s side. The Reds are also sweating over the fitness of midfielder Paul Pogba, who limped off the field with an ankle injured before half time. Thursday’s defeat means Manchester United have now dropped to third place in the group standing on six points, while Fenerbahce joined Feyenoord at the top of the standing with seven points each. The Red Devils found themselves trailing early after Sow opened the scoring with a brilliant acrobatic finish in the second minute of the contest. Manchester United defends failed to stop a cross from coming into the box from their right side and Sow took full advantage by bicycling over the head of David de Gea. Fenerbahce then went 2-0 up in the 59th minute when Lens beat De Gea with an excellent free-kick. Rooney pulled a goal back for the travellers with an outstanding finish to end his goal scoring drought since August, while the England international also had a header cleared off the line a minute later. “They deserved to win,” Mourinho admitted. “Football is not just about quality; it is about effort and commitment, it is about playing to your limits. “In an atmosphere like this, to concede an early goal gives the opposition exactly what they want. The opponent can then defend and counter-attack us with a lead and that is our fault for letting them be in that situation. 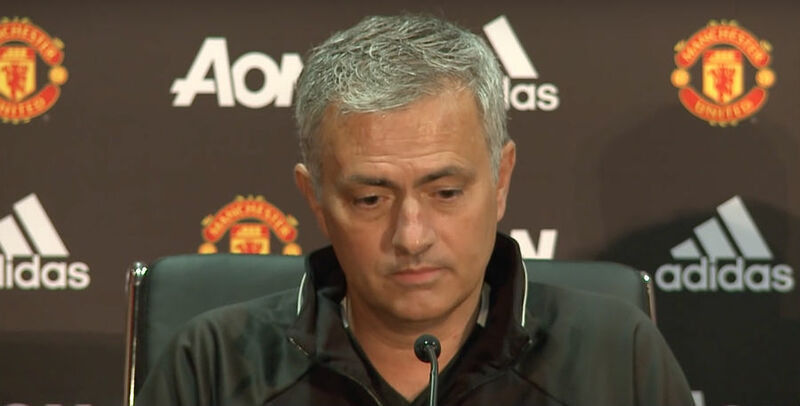 Speaking about his team’s chances of qualifying for the knockout round, Mourinho said: “We don’t depend on the others, we depend on ourselves.